San Diegans are bundling up and cranking the heaters for a second night of cold weather. 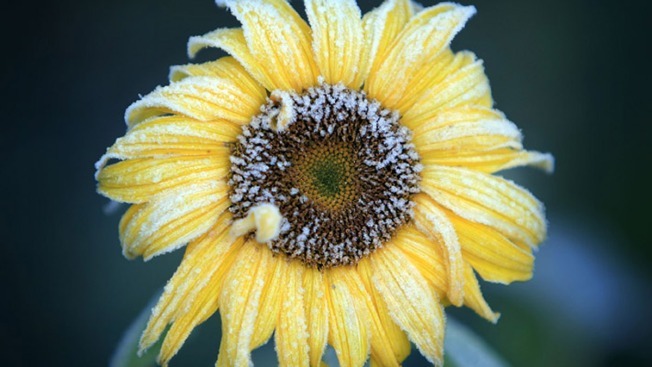 A frost advisory, which began Monday, will remain in effect until 8 a.m. Wednesday, according to the National Weather Service. Tuesday morning, temperatures were so low in some parts of the county, people had to put their outdoor plans on hold. More than 140 golfers at The Vineyard Golf Club in Escondido had to delay the start time for a year-end scramble tournament. Tee time was scheduled for 8 a.m., but it had to be postponed to 8:20 a.m. until the frost melted on the greens. One man who participated in the tourney said the first couple holes were tough in the bitter cold. "Freezing yeah. You were hitting the balls like hitting a rock, you know. But an hour later everything started melting. It was pretty cool," Poway Resident Mike Shannon said. Down the street from the golf course at Kit Carson Park, parents bundled up their little ones in fleece sweat-pant outfits and fuzzy boots. They too had to postpone play time at the park. Colleen Keefer, who was pushing her 2-year old grandson, said she was worried the playground would have been too cold for his hands earlier in the morning. That’s why she waited until mid-morning. NBC 7 called the San Diego Farm Bureau to see how local crops held up after night one of the frost advisory. Andy Lyall, owner of Lyall Enterprises, which grows oranges and avocados, said he turned fans on his crops overnight for a couple hours to keep them from freezing. But he added that he begins to worry when temperatures get much colder and for longer periods at night - something that only happens every once in a while.